From April 8th – 11, 2019, the international automation industry expo will once again be hosted in Chicago, IL. Staubli, booth #7150 will be one of the largest; combining the company’s three activities: Electrical Connectors, Fluid Connectors and Robotics. One of the biggest crowd attractions at the exhibition will be the highly realistic Smart Production Line. Here you can marvel at how robots and mobile robot systems produce components for tool change systems in direct collaboration with human employees in an Industry 4.0 setting. We will be showing that Stäubli solutions are capable of realizing the production scenarios of the future today. We will also be staging a North America premiere of the TS2 SCARA series. Thanks to its superior JCS drive technology, the four-axis machine now comes with enclosed casing and internal cabling. The result is a superior hygienic design that paves the way for new applications. The new TS2 SCARAs can be equipped with an integrated tool change system; a real innovation that would not have been possible without the expertise of Stäubli Fluid Connectors. The connector specialists will be showcasing their flexible tool change systems for robots as well as the automated ordering system. MPS Complete, MPS Modular and MPS Customized are the result of intensive development work and offer three different options for the optimum tool change system across the full spectrum of production tasks. 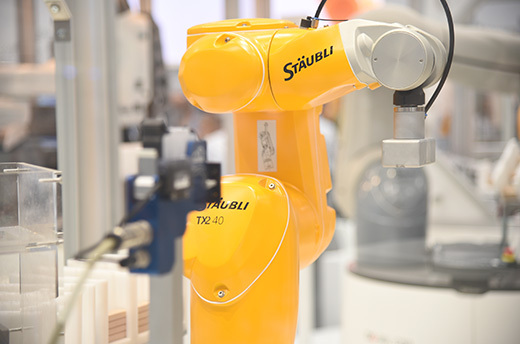 Stäubli Electrical Connectors will be presenting connectors for welding applications as an innovative solution for robot cabling. RobiFix-MINI is exceptionally compact and lightweight which makes it ideal for intricate applications and for the new 10kHz technology. 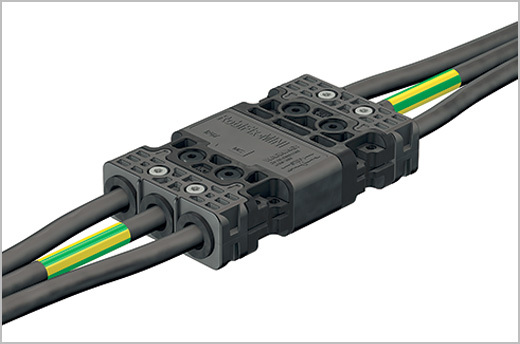 The multipole docking line connectors facilitate durable electrical connections in multi-couplings with plug cycles of up to one million and more. The modular CombiTac system permits maximum flexibility in the creation of application-specific interfaces. Let us inspire you. We look forward to seeing you in Chicago. Copyright @ 2019 Stäubli International AG. Všetky práva vyhradené.